In 2016, the Group was awarded the sanitation international bidding project in Karachi, Pakistan. 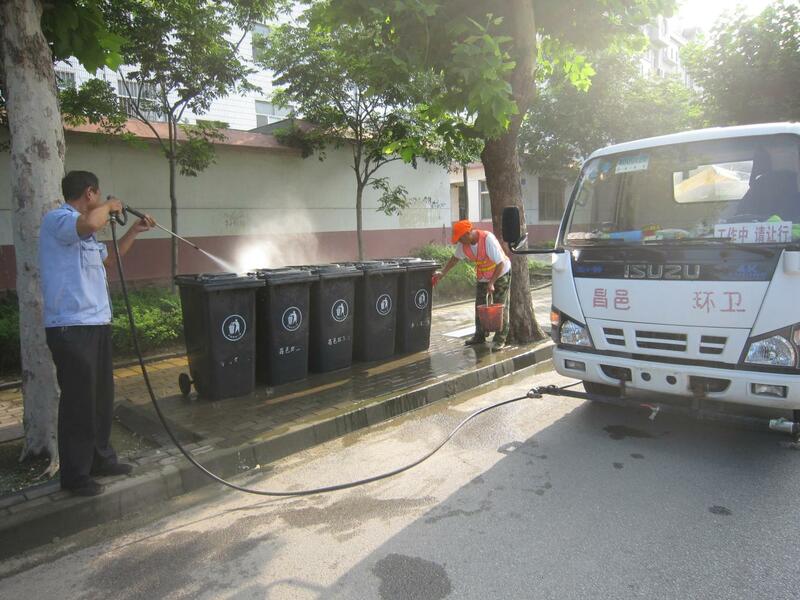 Kangjie is China's first and currently the only one large enterprises sanitation services provider that entered into the international market arena. 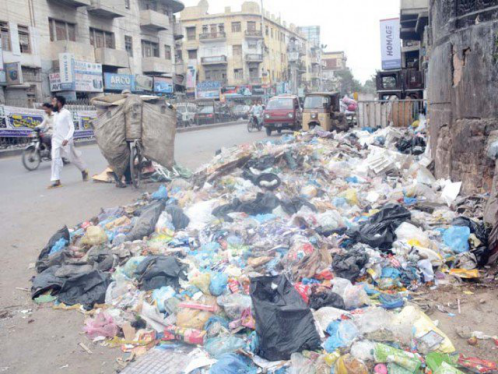 KARACHI: The Sindh Solid Waste Management Board (SSWMB) will not get functional in District South until February 2017, despite inking an agreement with the Chinese company, Changyi Kangjie Sanitation Engineering Company, to lift garbage door-to-door in the district. District Municipal Corporation (DMC) South is the first municipality in the city to have signed any such agreement. According to DMC South chairman Malik Fayyaz, a council resolution was needed to sign such an agreement. He said that it was already obtained by the Sindh government through the former administrator of DMC South, but local government minister Jam Khan Shoro wanted the resolution to be passed through the elected local government. Fayyaz told The Express Tribune they passed the resolution after obtaining a briefing from the SSWMB on how they will operate in their district through a Chinese company. He added that the agreement was made last week with the Chinese company. However, Fayyaz said, despite inking THE agreement, it will take at least three months for the Chinese company to start their work on THE ground. “The project involves huge investment,” he said, adding that the Chinese company will bring 70% of their machinery and 20 per cent of the existing machinery of the DMC South will be purchased by the SSWMB while 10% of the DMC South’s machinery will be taken on rent. For this particular project, around 1,000 labourers will be needed, Fayyaz said, adding that the DMC South will provide its staff to the SSWMB, who will work under the Chinese company. According to him, this entire process of asset management will take three months or more, which also includes the construction of two modern Garbage Transfer Stations (GTSs) by the SSWMB. For Saddar area, he said that the GTS will be constructed near Mewa Shah Graveyard and for Clifton the GTS will be built near Hijrat Colony. The GTS will be properly covered with boundary walls, Fayyaz explained. According to him, the DMC South produces 1,300 tons of garbage every day and for each ton, the Sindh government will pay the Chinese company $26. The amount of money that the DMC South gets from the Sindh government for garbage collection is around Rs25 million per month and this new project will cost Rs100 million per month, which would be paid by the Sindh government. 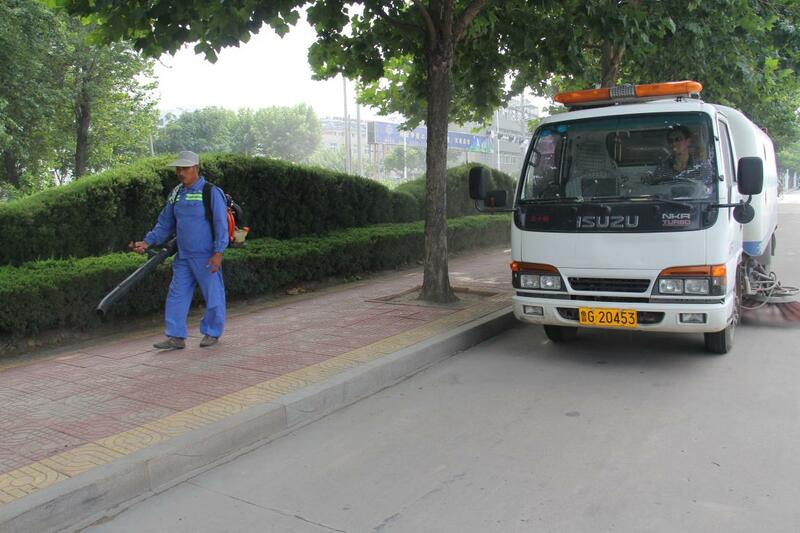 The DMC South will stop receiving any amount for garbage collection thereafter. The company will also wash the arteries of the DMC South and will transfer the garbage from every house to the community dustbins and then to the GTS’, from where the garbage will be transferred to the landfill sites. No official of the SSWMB was available for comments. In a statement issued on Tuesday, Shoro said that they want to ink a similar agreement in DMC East but are waiting for approval from their local council. The agreement will get delayed for a year if the DMC East’s council fails to give their approval in six to seven days, he said. However, DMC East chairman Moeed Anwar told The Express Tribune that in a day or two his council will give the approval. From the The Express Tribune, November 2nd, 2016.